Industrial Clutch Parts Ltd. supply a complete range of Hilliard Extreme Duty Centrifugal Clutch. Available in a variety of sizes, suitable for your applications requirements. Hilliard's Extreme Duty Centrifugal Clutches have been engineered to provide long service life, even in the most demanding applications. Manufactured in a thermodynamic designed shoe, used to increase the clutch's ability to absorb heat without damaging the clutch springs. Hilliard Centrifugal Clutches provide automatic, gradual, cushioned engagement over a speed range on high-inertia loads. It smooths out and reduces starting current surge. Extreme duty centrifugal clutches have been engineered to provide a long service life, even in the most demanding applications. The sprocket version is ideal for the everyday demands of go-karts, while the pulley version is a low-cost upgrade for lawn and garden equipment. Hilliard extreme duty centrifugal clutches have been manufactured and designed with a clutch shoe, ideal for absorbing heat without damaging the clutch springs.  The unique clutch shoe design offers a reliable and long service life for your application.